Courtesy photo Heather DeHaven, shown, a recent graduate of Bishop Guertin High School, was awarded a $1,000 from the Hollis Woman’s Club. 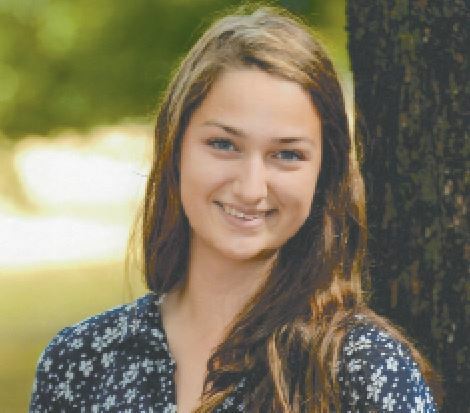 Vienna Scott, a graduate of Hollis Brookline High School, also received a $1,000 scholarship. HOLLIS – The Hollis Woman’s Club is pleased to announce the selection of two recipients of the annual scholarships awarded to high school seniors who are residents of Hollis or Brookline. Each scholarship is for $1,000 and is funded by proceeds from the annual Strawberry Festival in the spring and Apple Festival in the fall. Vienna Scott of Hollis Brookline High School was awarded a scholarship at awards night on June 8. Vienna will attend Yale University in the fall where she will undertake a double major of chemical engineering and global affairs. After graduation from Yale, she hopes to promote development in the third world. Vienna is the daughter of Andrew and Rachel Scott of Hollis. Heather DeHaven of Bishop Guertin High School was a scholarship recipient who will attend LeHigh University in Bethlehem, Pa., in the fall. She will study aerospace or biomedical engineering. Heather is the daughter of Lawrence and Carole DeHaven of Hollis.